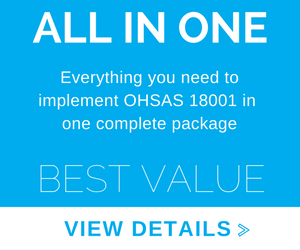 Why consider OHSAS 18001 and what are the benefits? What Standards do I need? What additional supporting standards are required? Use the Gap Analysis Checklist to determine where you need to change your existing system. What is an Initial OH&S Review? Purchase the OH&S Initial Review Checklists to cover your office and/or your plant workplaces. The checklists are included in the Risk Analysis Guide and are also available as a separate item. Buy the Risk Analysis Guide. The guide includes the risk analysis worksheets that you will need to conduct the risk analysis for the hazards identified in your workplaces. The OH&S Risk Analysis Worksheets are also available separately. All of your employees will need to be trained on OHSAS 18001 management system. Design and document your OHSAS 18001 Health and Safety Manual and Procedures. The biggest portion of the project is looking at your current processes, and redesigning them to address all of the requirements of the standard. Once you have modified or developed processes to meet the standard, you will need to control those processes. Documenting the OHSMS procedures is part of this control. OHSAS 18001 OH&S Management System. 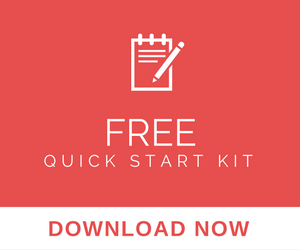 These templates will save you time and money versus creating them on your own documents. Best of all, they include FREE Support! Once your system is developed and documented, employees will follow the procedures, collect records and make improvements to the system. For approximately three months or more, your organization will run the OHSMS, collecting records. To get your Registration, typically you will select a Registrar and they will come and perform your registration audit. During these audits, the Auditors will be looking at your OHSMS to make sure that it meets the requirements of your system. If they find some areas that do not meet the requirements, they will document a “Nonconformance”. Your registration will be dependent on your correcting any nonconformances that are found. Regular surveillance audits will follow (at 6 or 12 months intervals) after your registration audit. Achieving registration is a major accomplishment and you may want to CELEBRATE!